It's no secret we are a bit jingle all the way when it comes to the holidays (our editor-in-chief was a Christmas bride herself), so it was only a matter of time before we rounded up our very favorite red and green wedding gifts, looks, and treats to make the big day even more sparkly. For those winter-lovin' couples who also swoon over the holiday magic, these Christmas-hued goodies will make you grab your Santa hat, hang the mistletoe, and pop in your favorite holiday movie for a tribute to all things December. Curated from Etsy, we rifled through Ole Saint Nick's digital sleigh and found elegant, rustic, and magical gift ideas for you and your favorite snowbirds. Be married and bright, friends! Dapper and chic, nothing says winter like the beauty of velvet. Add that rich fabric to your attire, and you've got the insta-holiday vibe for the big day! 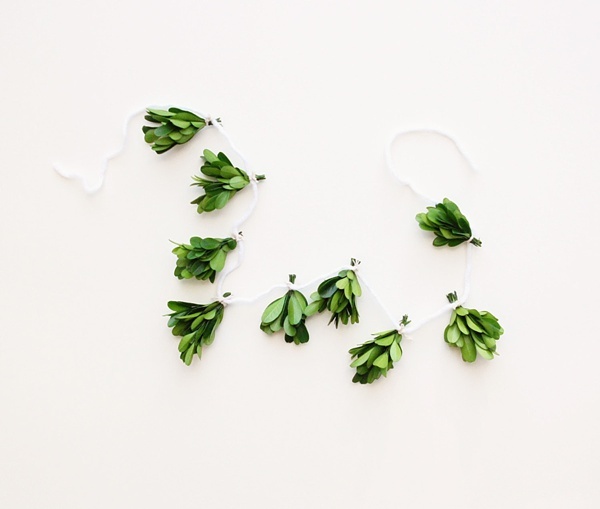 This sweet and simple boxwood garland is the perfect touch for a sweetheart table, dessert table, or wedding shower! A little touch of greenery is just what the Christmas wedding calls for! Nothing says winter like icy crystals, especially when they're entwined in a delicate tiara made perfect for a Christmas bride. Let it snow, let it snow, let it snow! 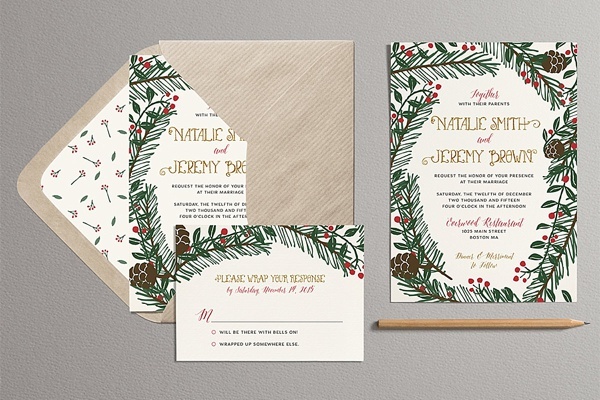 Speckled with pine and berries, this classic and romantic invitation suite rings in the season and sets the tone with your wedding guests from the very first moment they see that December date on the card! 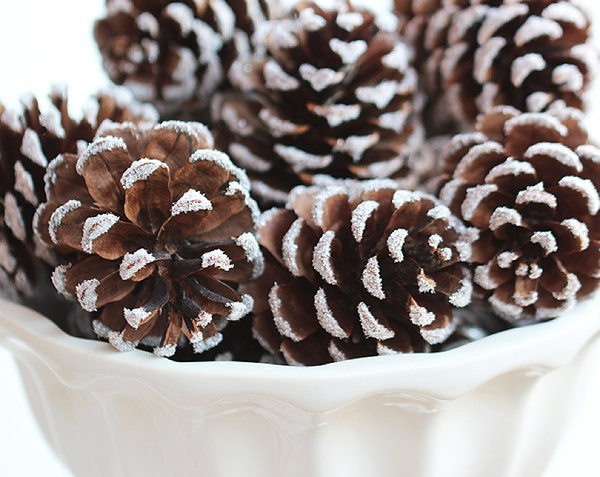 Whether you're looking to fill glass vase centerpieces or decorate around the reception, lightly sparkled pinecones are the epitome of the most wonderful time of the year... and totally reusable after the wedding in your new home! Give a little green to your ladies! 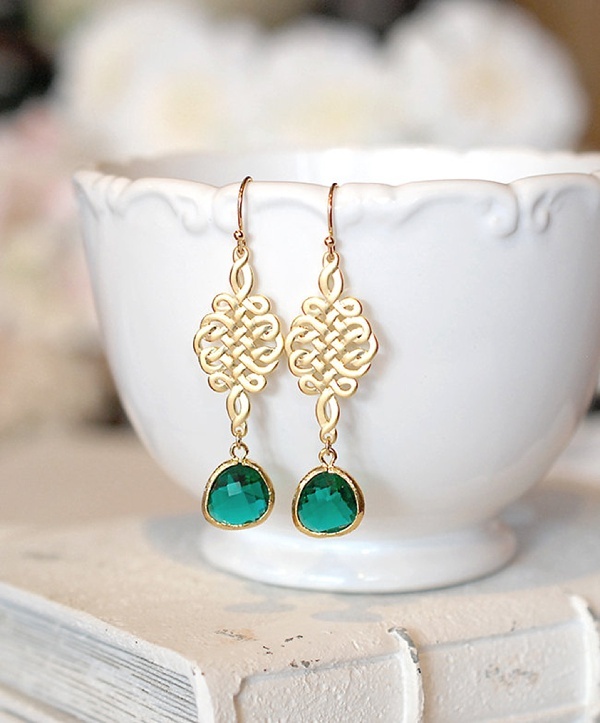 These sweet dangle earrings are elegant with a little filigree detail meant to channel the romance of the holiday. 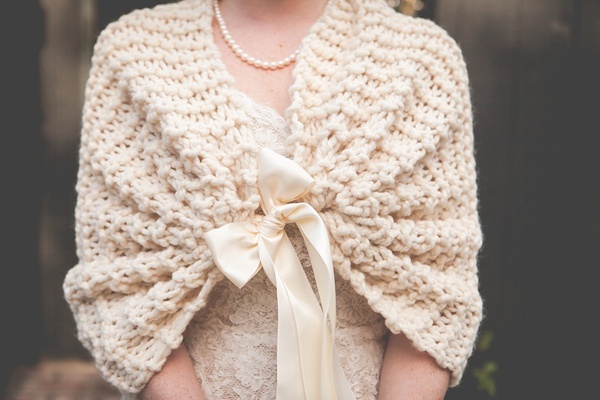 Warm and soft fabrics help a wedding party show off the beauty of the cold season, just like the knitted elegance of these ribbon-tied shawls. Get one for the bride or many more for everyone! It's time to get cozy either way! 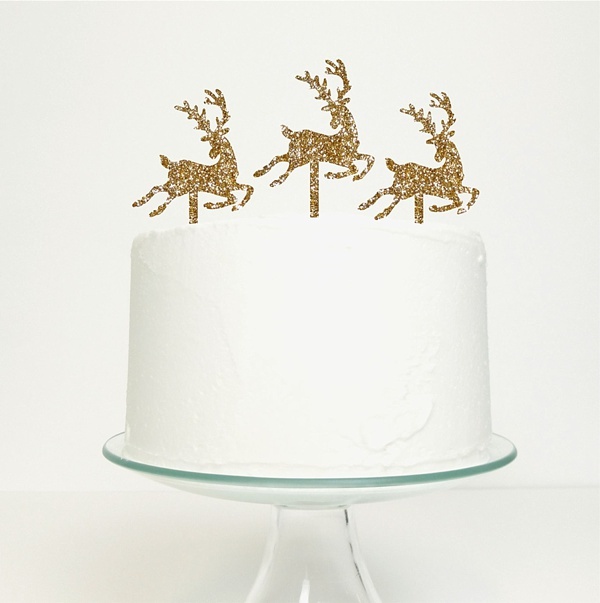 On Dancer, on Prancer, and On Vixen... all on your wedding cake! With a glimmer of gold and Santa's reindeer in action, there is no question at all what holiday cheer you're wanting to give to your guests as you celebrate that first cake cutting as newlyweds. 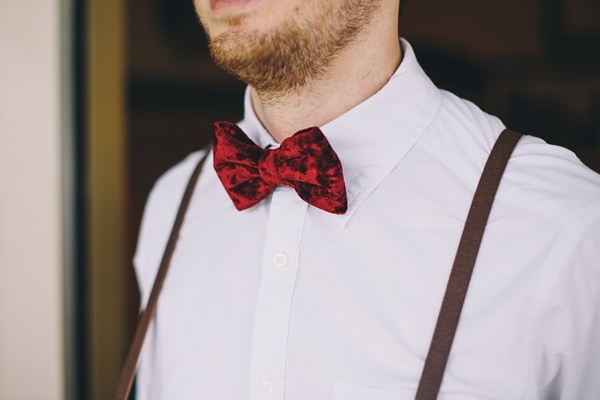 Gone are the days of unfashionable garters! 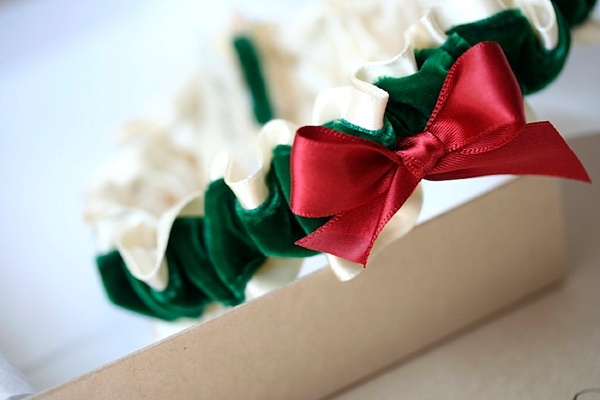 This velvety beauty is an heirloom in of itself and a beautiful nod to Christmastime. Red and green sweetness, it even reminds us of a little wreath! How's that for a subtly elegant way to show off your holiday theme? 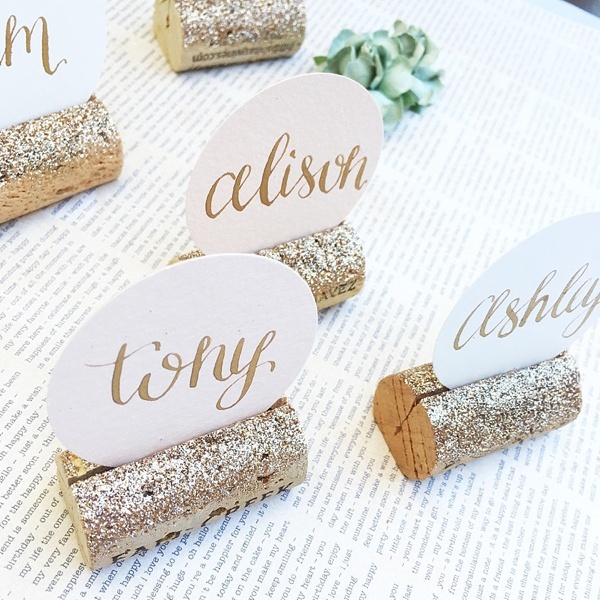 Whether you're having a holiday winery wedding or just one that is crafty in nature, these shimmery champagne gold dusted cork place card holders are the perfect touch of Christmas joy on your wedding reception tables. Spread the cheer with this detail! Looking for more gift ideas? Head over to Etsy's Editor Picks that runs the gamut when it comes to home, fashion, and other sweet gifts for this holiday!